I've decided that once a year I'm going to be posting an article on both the state of mtgfiction.com and the state of the fictional universe of Magic: The Gathering published by Wizards of the Coast. This article will be released each year after reading the block novel for the most recently released block. In this case that would be Scars of Mirrodin: The Quest for Karn . I'm starting with my site because that's obviously important to me, but if you want to skip this section please feel free to scroll down to the next section. No judgment here. It's a little early to be discussing the site anyway but traditions have to start somewhere so might as well begin now. I say a little early because I consider this site to still be in beta. The look of the site is constantly being evaluated and tweaked, the archives I'm creating (mostly for myself, but if it becomes useful for other people as well, all the better.) is incomplete, and I'm still constantly re-evaluating what kind of content I want to add to the site in both the near future and in the long term. Good news though, things are progressing nicely. I began this site in early February. I spent a large portion of my time just messing around with the basic structure of the site because the idea of reviewing the sixty-five Magic books that had currently been printed was intimidating. If I could do quality reviews at a godly pace of one book a week I still wouldn't finish within a year. At a more reasonable pace it would take much longer. As light as plenty of the Magic novels tend to be, it still takes time to read and review. That's when the idea for chapter reviews hit. It was certainly a more manageable concept. I was already taking notes as I read each chapter of Ravnica: City of Guilds, so it seemed a good idea to turn those notes into actual content. And there it was. I found the central piece to my site. I had gotten side-tracked from Ravnica due to the real world, but once Scars of Mirrodin: The Quest for Karn was released I started up again and just kept on going. It was a great way to produce content on a regular basis. Not only that, but it helped to make sure that the content I produced for the site was more numerous than the Archive posts (which are intended to be supplemental) rather than the other way around. The whole reason for the archives is because the actual article database at magicthegathering.com is horrendous. The articles are there if you work at finding them, but the user interface is unmanageable. It's little more than data storage. Here's an example of what I mean. If you simply select the All Archives link on the main Daily MTG page, you assume that would take to a place where could find all the articles. You would be wrong. Take a look at page 180 of the official archives, it only goes as far as 2007, with literally seven articles covering 2002 through 2004. Articles from 2005 and 2006 are missing altogether. The articles are on the site but you have to put in work to actually find them. Simply thinking that "All Archives" will take you to all articles will only end in failure. So you dig deeper. You start looking through a specific column's archives and find similar problems, so then you go through a specific author's archives and find that also doesn't always have what you're looking for. Sometimes the search box is required or even going so far as using google, and typing in known information that may help in the search, such as if the article you're looking for was written during a theme week. But I understand these problems are in large part due to the fact that the official Magic site has gone through several changes through the years, including combining the official site with the defunct Sideboard.com. The merge into the mothership we know and love today wasn't total, and so we have some broken links and a broken database if you dig deep enough. I may understand, but that doesn't help me use their archives as a resource. Since they don't seem to be changing anytime soon, I decided to make my own. So the chapter by chapter reviews have begun, and my first book is complete. My site was producing something actually worth reading for 22 days in a row, and I didn't miss beat. (With the exception for the Blogger crash which was out of my hands.) People are reading. Feels good. I'm happy to have readers, and I need to treat you guys right. I need to do a better job in proofreading my posts. There is a reason writers have editors. But since this is a one man show, I'll just have to be on the ball about catching typos, misplaced words, sentence fragments left over thoughts were deleted and rewritten, etc. The amount of mistakes I've seen and had to correct is unacceptable. The final form of my site in terms of content and design is still unknown, but I already consider the start of the Scars reviews, April 26th, as the launch date of the site. The immediate question is what kind of post-book analysis do I want to write besides the non-spoiler and in-depth reviews. There is certainly plenty more to talk about in regards to Scars of Mirrodin: The Quest for Karn. I began playing Magic in 1994 when Revised and The Dark was in circulation. I began reading the Magic novels starting with the first book published by Harper Prism, Arena, and read 22 books in total between Arena and Fifth Dawn. I took a break from the books after that, took a break from playing a little later, and then eventually even took a break from reading up on Magic news through the Official Site and Star City Games. I came back for my first pre-release event with Lorwyn, and loved the concept of the planeswalker cards and the new system of publishing one book per block and the separate planeswalker novels, but those concepts still weren't enough to get me to pick up a book again. Upon hearing that Scars of Mirrodin block was about the return to Mirrodin, and more importantly the return of the Phyrexians, my interest in Magic fiction was renewed. Writing a book isn't easy. It takes time, and authors are notorious for missing deadlines. That's something that cannot happen when it comes to Magic fiction because the release of the books are inherently tied to the release of the sets. By releasing one book per set, Wizards had two options: Have one author write all three books for consistency of style and vision, which is a lot to ask of any author, or to have three authors take one book per set and thus lighten the workload but lose on consistency across a single trilogy. I don't know the exact schedule of when authors were assigned books, but they had to be given their assignments while cards were still being created. One of many great reasons why The Brother's War is such a great book is that nearly every card in the set appears in the book. That can't happen if the cards are still being created, especially potential main characters. On the flip side of the coin, even if the author on the first set of a block knew information that would appear in sets two and three of a block, and they were writing about set one, they couldn't necessarily incorporate that info because it would spoil the main product, the Magic cards. Balancing on the edge of a coin isn't easy. On a slightly different note, the power level of Planeswalkers was unmanageable. A story needs to present challenges to the protagonist, and planeswalkers were godlike. It worked for Urza because his story spanned multiple planes and spanned several centuries, but that type of story cannot be told over and over again. It's too huge which in fact makes it more limiting in what options an author has. The stories need to have the option to be smaller, but if you have godlike protagonists, you typically have to have godlike villains of equal power at best, if not introducing power creep into the villains and making each more powerful than that last. This limiting factor often lead to the books being about someone who would eventually become a planeswalker as a means to keep a "planeswalker" as the central figure. One novel to cover the story of the entire block to be released around the time of the final set. Great idea. This meant the publishing schedule wasn't unreasonably fast while at the same time only one author would be handling the whole story for a particular block. On top of that, by publishing it last there would be no more issues of spoilers and the author could potentially know a little bit more about the cards that were being produced. Time Spiral (which I have not yet read, and will be on the next poll most likely) took the issue of the power level of the planeswalkers and created an in-story solution to the problem. 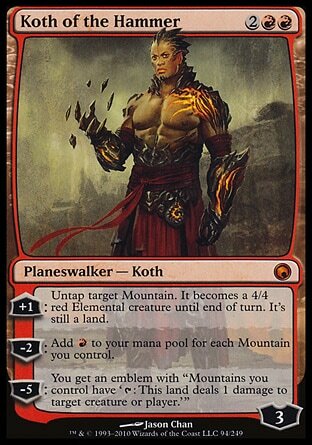 Planeswalkers were greatly weakened all around, while still keeping the ability to walk the planes. This meant that every book after Time Spiral block could be told in a much wider variety of settings and story types. These stories could more easily feature planeswalkers as planeswalkers rather than mostly relying on the basic Hero's Journey which inevitably ended with the protagonist waking their planeswalkers' spark. 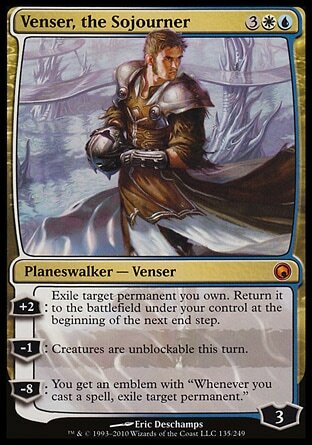 Lastly, R&D created a new card type, and they did an excellent job designing and developing planeswalker cards to be both extremely flavorful and powerful, making them highly desirable cards to own and play with and thus created a higher interest in reading about those characters. That interest gives us the planeswalker books which can be released earlier than the Block novels since there is no need for direct information from the most current cards nor even needs to take place on the setting of the current block. Much like Block novels, we once again have a book that supposedly won't force upon an author an unreasonable time pressure while at the same time finding a way out of the information trap. Those were the problems I saw, and the solutions by Wizards of the Coast seemed brilliant. When learning that the latest book would be about the return of the Phyrexians, I knew this was the point that I wanted to return to the fiction of the Magic Multiverse. I forgave the quality of some of the previous books because I understood there were some problems due to the unique relationship between the books and the sets, but now it seems as if those problems are minimized if not gone altogether. What is the state of Magic: The Gathering Fiction? This opinion doesn't come from someone who has a complete an thorough knowledge of all the current releases, but considering complete and total atrocity that is Scars of Mirrodin: The Quest for Karn, does that matter? It is simply the worst book I have ever read. There have been plenty of articles on the Official Site that talk about the importance of Commons. They're the cards that introduce most players to the new mechanics and themes of the set, and they're the cards that most players will have the most of and will see most frequently and so will create some of the strongest impressions. Well guess what? Every single book should be treated that way. Every book is a potential first book for someone wanting to dive into Magic fiction. Every book has the opportunity to hook someone on reading even more books and has the potential at creating a stronger affinity to both the novels and the cards, thus making the player happier than they would have been, while also selling more product for Wizards and thus making them happier people. Happiness all around. If Scars of Mirrodin: The Quest for Karn was my first Magic: The Gathering book, I wouldn't ever want to touch another Magic book ever again. 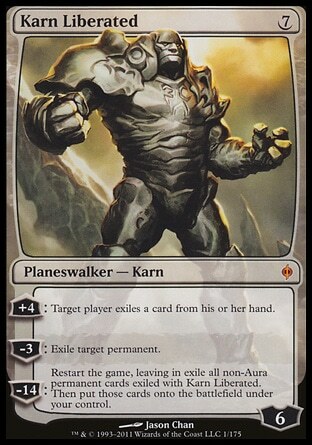 On top of that, the anger and disappointment I felt after completing the book would have penetrated down into souring the experience of cracking open booster packs to find hypothetical Koth of the Hammer , Venser, the Sojurner , or Karn Liberated cards. Not everyone would feel that way of course. Not everyone is into the storyline and flavor of Magic as much as I am, but the people who do voluntarily pick up the books will no doubt more often than not belong to the camp of people where the story enhances the game for them, and are more likely to feel the same. Considering how thorough Wizards is with quality control of their cards and how detailed and in-depth they go into the creatures, cultures, and setting as clearly demonstrated in the brilliant Planeswalker's Guide to New Phyrexia , considering that they claim the current direction is for the cards to deliver the setting while the books will reveal the story, and considering that their newest layout of the site has one tabs (of just five) dedicated solely to the Magic Novels , I expected the return of my favorite villains and a return to a storyline I have fond memories of to be a glorious one. I expected a new level of quality because they addressed the problems that were obvious even to me despite the lack of any insider knowledge. But Wizards of the Coast let me down. They let me down completely and absolutely. It is actually an insult that they would expect anyone to have had to pay money for the product they released. If not for the fact that the existence of this novel sparked the creation of this site, which is looking like it's going to be a years long hobby of mine, I would have have gained absolutely nothing from the experience and actually would have felt like Wizards took something away. That is the state of Magic: The Gathering fiction from the viewpoint of one who is returning to the Magic Multiverse. Let's hope that next year brings better news. I know the potential is there. It can only get better from here. Interesting post, I'll probably still end up reading 'The Quest For Karn' but I will not be expecting much from it. I have heard similar reports. I'm very happy with this site of yours, I have a few things I'd love to see, and the book reviews are very welcome one. I especially appreciate the Innistrad viral reporting you've done, as I missed several of the letters. Love to see more and would be willing to help! Wintermute is the worst writer they've had yet (not saying much), as Teeth of Akoum was the most boring piece of drivel I may have ever read.